ABI IMPACT: OSHIWARA police in Andheri registered FIR against a ‘cheater’ who claimed to be a Production Scheduler for cheating on a ‘C.I.D. Inspector’ for promising him a lead role in television serial “Aankh Michauli.” However, accused Ajay Singh is still absconding. On November 29, 2014 ABI (abinet.org) had published an article under headline “production scheduler cheats C.I.D. Inspector.” On November 29, 2014, Oshiwara police registered FIR (copy available with ABI) against Ajay Singh under sections 420 (Cheating and dishonestly inducing delivery of property) and 506 (2) (criminal intimidation) of IPC. 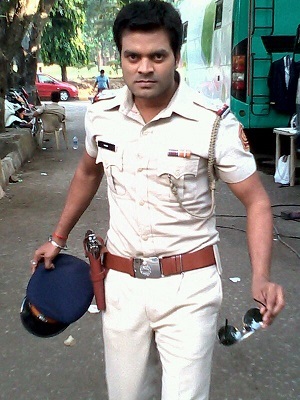 The actor Prem Kumar Tiwari (28), a resident of Sion-Koliwada has acted as an Inspector in the famous C.I.D. series as an Inspector. He was running from pillar to post to register FIR against Ajay Singh. In the last week of January this year Prem Kumar Tiwari had gone for audition at office of Action Vision production at Andheri (west). Ajay Singh introduced himself as the Production scheduler of Action Vision production. Singh promised to set lead role for him in famous serial ‘Aankh Michauli’ telecasting on the channel Life Ok. Singh put a condition before him that he can earn Rs. 10,000 per day but he should give Rs. 2,000 cut to him. Singh also demanded Rs. 1, 50,000 in advance from him as ‘investment’ for lead role. Tiwari paid Rs. 50,000 mortgaging his mother’s ornaments and Rs. 50,000 through personal loans from friends. On February 22, 2014 Singh took money in hotel Gateway, near Oshiwara police station. Surprisingly, as Singh took money his behavior changed. He started ignoring Tiwari’s phone calls. On several occasions he threatened Tiwari to not to contact him. On September 10, 2014, Tiwari approached Oshiwara police station and complained against Singh. On September 23, 2014 Assistant Police Inspector (API) S. C. Raut recorded statement (copy available with ABI) of Tiwari and called Singh in the police station but refused to register FIR stating matter was civil in nature and also stated that Ajay Singh is innocent. Fed up with this Tiwari approached Deputy Commissioner of Police (DCP) Zone-9 Satyanarayan Chaudhary. Chaudhary instructed Senior Inspector Subhash Vele to register FIR. Acting on Chaudhary’s instruction Vele registered FIR against Singh. “I am thankful to DCP Satyanarayn Chaudhary. He immediately acted on my application,” said Tiwari. “Oshiwara police has not registered any FIR against me,” said Ajay Singh. After repeated attempts Subhash Vele was not available for comments. “I am not aware about FIR as the matter is not with me said,” API S C Raut. Good sir ji, you are always doing great help to solve the issue as well as problems, mata Rani give you strength, wealth, n health. Very good voverage dear Akela.. keep it ip..